View short video (PSA) above. Click here for FULL LESSON. MyJewishGeneticHealth.com TRAILER PSA: Click here. Issues viewing videos? Check your firewall settings. MyJewishGeneticHealth.com is a free, ongoing, online educational series that is designed for the Jewish community. We invite you to join us and to become active participants in your own health and well-being! View our library of short PSAs (public service announcements) on medical conditions and diseases that have a Jewish genetic component, as well as on relevant technologies and ethical issues. Register (for free!) 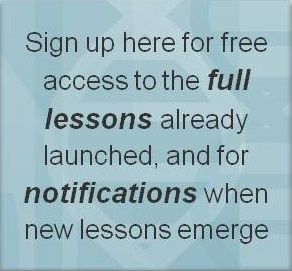 to access full lesson content, and to receive notifications when new lessons emerge.